I’d like to thank you again for the awesome trip you’ve taken me out to in Simi Valley. It was great fun trying to keep up with you up and down the hill and will definitely contact you for another session when I’m around again. The Chumash Tour I’ve chosen was great for a business traveler like me just getting out for some hours to ride and not getting exhausted too much. Next time I’ll definitely climb up with you on the other side of the Valley to make a day-ride with loads of trail shredding!! Thanks again for the great time! I guess more locals should use your knowledge of the locations around LA to make their riding experience more enjoyable and enhance their skills! Riding with Scott for the day was perfect, exactly what I had in mind. I was in LA for a brief visit with only one day for a bike ride. 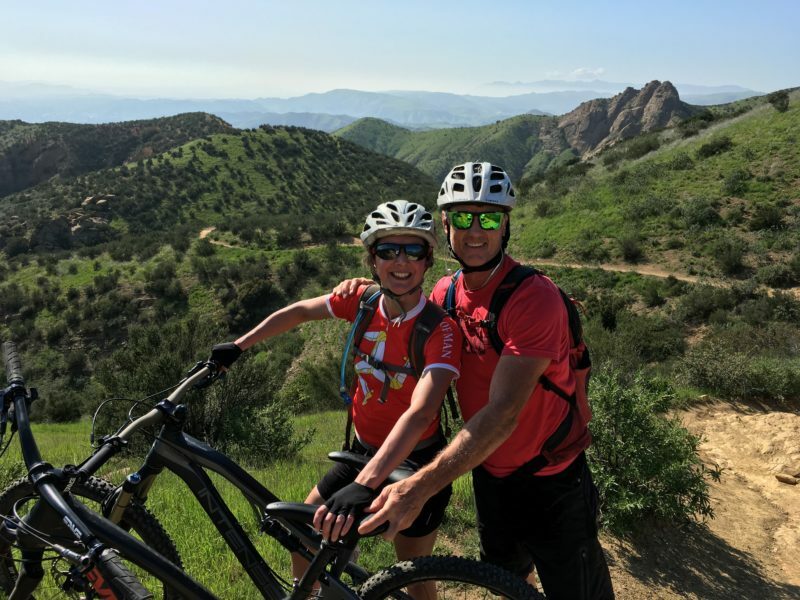 I wanted to check out some trails, but also wanted a mountain bike skills lesson too. Scott totally delivered. Scott reserved a bike for me to rent (at Topanga Creek Bicycles, a great bike shop). He transported me to a gorgeous state park with miles of trails where we spent some hours riding and going over climbing and descending technique. Scott’s enthusiasm for mountain biking and passing on skills is infectious. At the end of the ride I was cleaning stuff I’m pretty sure would have been impossible for me before, especially descending. Thanks Scott! Next time I’m in town I’m going to call you back! Entering a new MTB scene can be a daunting task for anyone, no matter your skill level. If you don’t know the trails, routes and the best gear to get, it may be hard to progress. Early on, I was lucky enough to meet Scott through some mutual ride friends. Quickly becoming friends, It was a normal occurrence for me to be following his back wheel down the various trails in Southern California. Scott, very simply, is one of the strongest riders I know and played a huge part in my development as a rider and later on, a downhill racer. I can’t recommend him enough to help you step your game up to the next level.